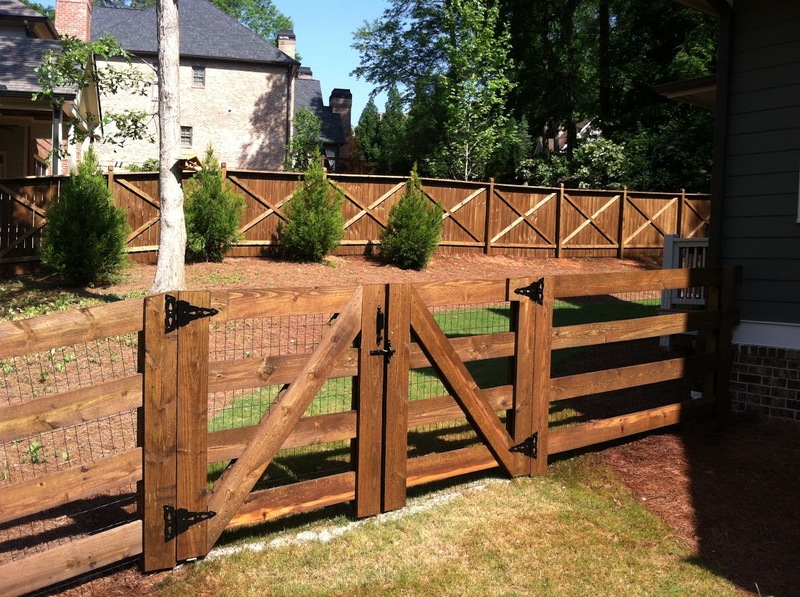 Giving your fence the perfect color or stain palette goes beyond paint. We have several wood stain colors to choose from. • Clear (Honey) – Used to waterproof. Lasts 12 – 24 mos. Great for Cedar. • Transparent – Wood grain very visible. Not much protection. Not recommended. • Semi-Transparent – Restores new wood look with Ativan medium color, allows visibility of wood grain. • Solid Color – Great for masking old weathered wood with a solid [much like painted surface] type of finish.